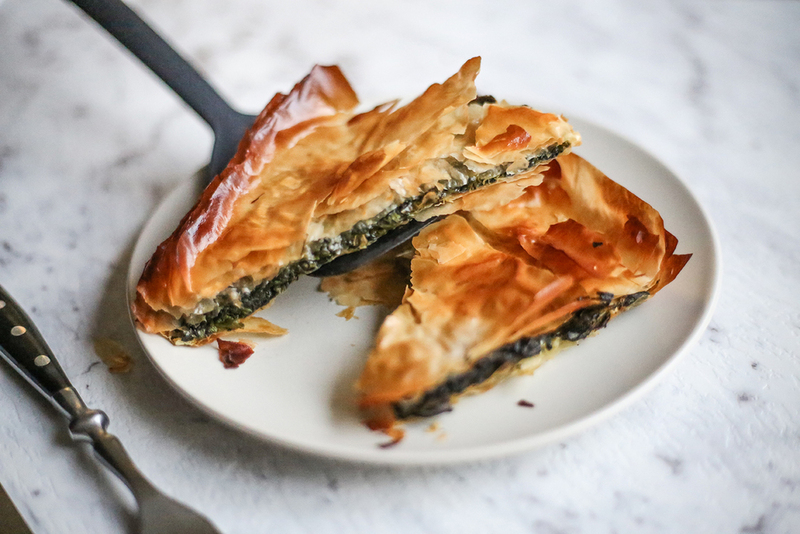 The modern spanakopita is generally made with spinach and feta and ricotta cheese. Interestingly, traditional spanakopita had no cheese at all and relied on herbs to flavour the pie. 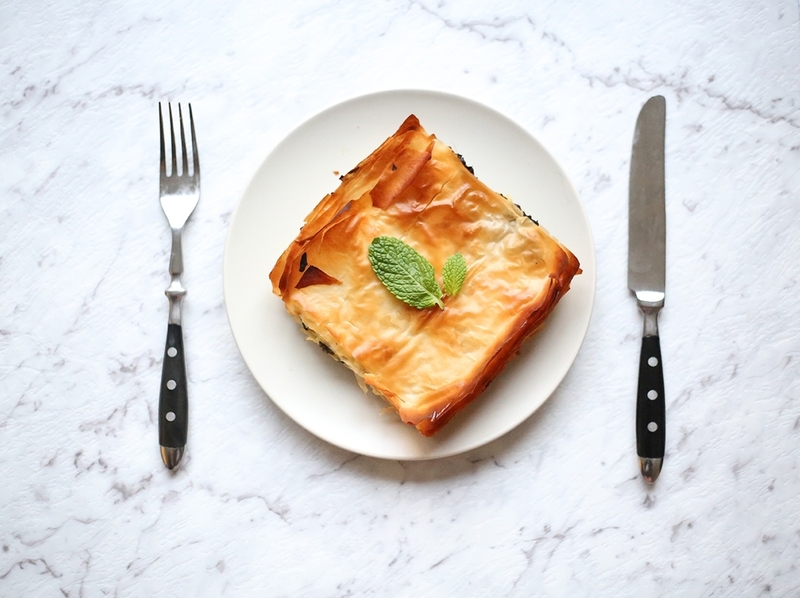 We’ve combined the traditional with the modern to bring you vegan spanakopita flavoured with MyLife Biocheese for added richness. So delicious, healthy and simple! You can use either frozen spinach or fresh spinach. We used a mixture of both. Try and squeeze out as much water from the spinach as possible before adding to the mixture to ensure the pie doesn’t go soggy. Also, filo breaks very easily, so allow it to thaw before using if you are using frozen pastry. 2. Lightly oil a 20cm x 30 x 5 cm baking dish with some of the olive oil. Layer 6 sheets of the filo pastry on the base, brushing each layer of pastry with olive oil before layering on the next. 3. Prepare your spinach. Cut off the stems of the leaves (if possible) and roughly shred the leaves. 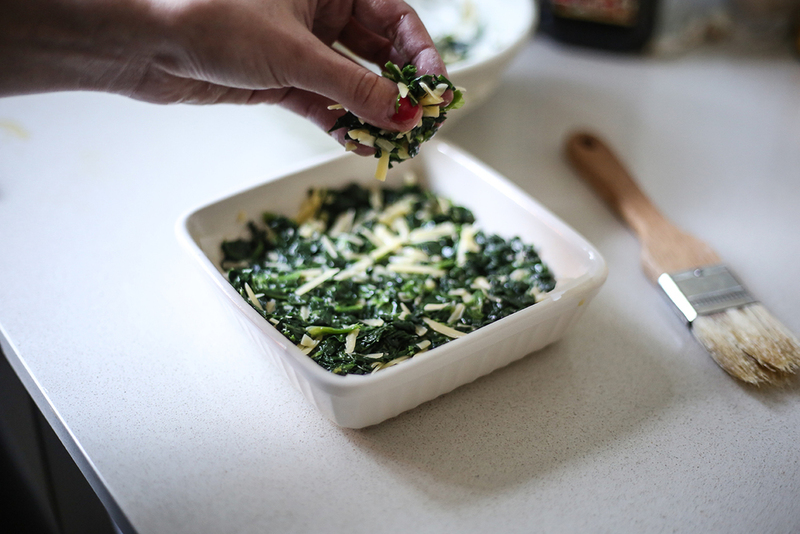 Wilt spinach by either placing in the microwave on low heat for a few minutes or on low heat on stovetop. 4. Once wilted, place spinach in a strainer and drain out the water out as much as possible by pressing with the back of a spoon. Place drained spinach in a large bowl. 5. Add dill, mint, spring onions, olive oil, garlic, MyLife Biocheese, nutmeg and salt and pepper to spinach and mix until well combined. Spread mixture over the filo-lined tray. 6. Repeat filo-layering process on the top of the pie with the remaining sheets of filo. Brush top of pie with remaining olive oil and cook in the oven for 30 mins or until pastry on top is golden brown. Allow to rest for 10 mins before serving. Delicious!